The Beverly Hills Mom » Future Goals: notes from a webinar I attended by literary agent Maria Vicente about getting my Louis XIV of Beverly Hills picture book published. SO much work, has gone into this project, but it is so worth the creative workout! This entry was posted on Monday, August 29th, 2016 at 2:02 pm and is filed under . You can follow any responses to this entry through the RSS 2.0 feed. You can leave a response, or trackback from your own site. 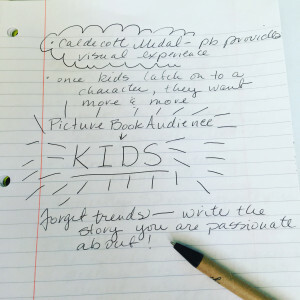 Future Goals: notes from a webinar I attended by literary agent Maria Vicente about getting my Louis XIV of Beverly Hills picture book published. SO much work, has gone into this project, but it is so worth the creative workout! I am getting more and informative tips and wonderful educational points always with this buy dissertation online. Mostly this blog has been sharing about essay services and more interesting concepts on schools and colleges. I can not wait to visit this site for more and wonderful topics always about essay services with writingmyessay24.com site. Great concepts and writing concepts and maintains more opportunities for the great essay services always. Creativity energies the capability to problem-solve, innovate, and discover new and unexperienced areas. It is the mark of cleverness, which tops to successes in the realm of art, science, and technology. According to kids play school, children who are exhilarated to consider creatively show higher self-esteem and spur. While you are in some sort of relationship, you can be spending longer together in comparison with you did after you were simply just dating. This means it is advisable to make time for every single other with your weekly schedule to help you to enjoy another relationship. I pick up so bounty encounter from this site. I other than bookmark it for over again understanding. I uniform this prompt. I appreciate the unmistakable blog you pick up. your tips give me lots of ideas and it is quite good for an educational point of view and for childcare.